The Last Jedi is now out! 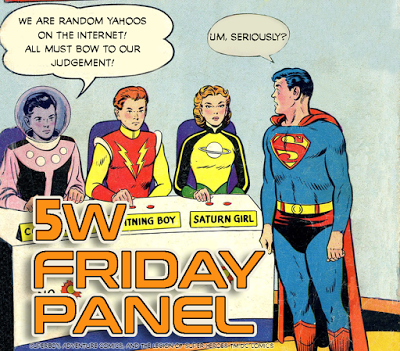 But before any of us saw it, the Fifth Worlders logged their hopes, fears, and expectations for the latest chapter in the Star Wars saga. Join us and see how far from reality we were! Every Friday, we will host a virtual panel session on a topic of the week, capturing The Fifth World staff having a dialogue about a given subject. This week's topic: speculating about Star Wars: The Last Jedi! Luke will also search out a new tailor. My prediction for The Last Jedi: Luke's position will be that the Jedi were a mistake. Not because of bitterness over his failure to revive them, but rather they failed because he realized early on that it was a bad idea but his pride wouldn't let him stop trying. The entire "Jedi must have no emotions or attachments" idea directly caused the Sith, as far as he's concerned. He hopes Rey, who has almost no preconceptions due to her upbringing, might be able to find a third way. (Bendu from Rebels would be perfect for this, but I rather doubt anything from TV will ever be more than an easter egg in the movies.) At the end of the movie, Kylo will have been given a chance to join Rey, but it will have become clear she won't simply join him as a Sith, the two part as enemies, and a million ill-advised ships will cry out and be silenced. Finn seems to have found a new playmate. I agree with Dave. 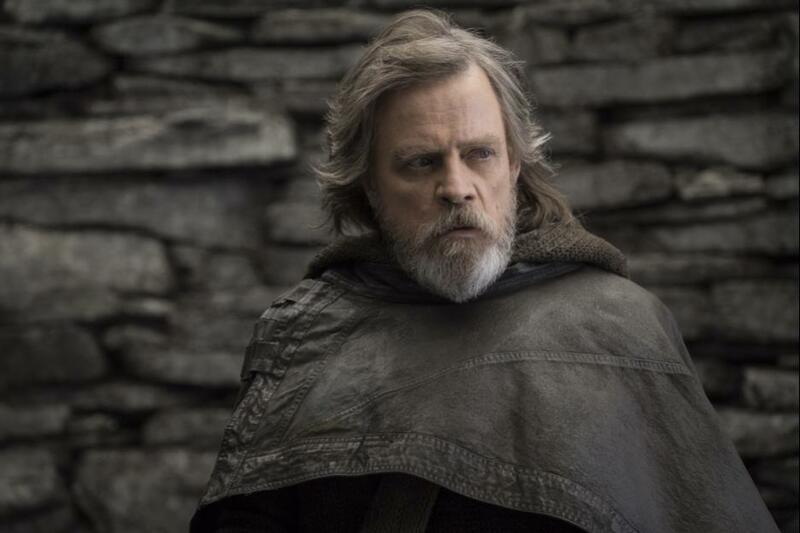 I think Luke has become disillusioned with the old ways and will seek true balance in the Force with Rey- neither Dark or Light side. The old extreme ways won’t work. I also hope that Rey and Finn meet up at least quickly for a minute in this one. I enjoy their goofy friendship and love between people who don’t really fully know what love is. I also think Kylo is confused and maybe this will get him onto a path, either way. While the writer/director and producers have said that they are not intending to recreate the original trilogy, I have a feeling that there will still be significant parallels between Last Jedi and The Empire Strikes Back. The middle film of a trilogy is always the darkest (though I'm waiting for a horror trilogy where the middle movie is purposefully lighthearted), and this one should be no different, but I expect additional structural similarities. The fact that they're splitting the cast up with this film roughly mirrors how they split Luke from the rest of the party in Empire, for example. The attempts to turn Rey to the Dark Side shown in the trailers also seems to parallel nicely with Darth Vader's initial attempts to lure Luke to his side in Empire. Perhaps related to that, I am expecting to see us get some idea about Rey's origins, much like Luke did in Empire. Danger for Finn? Perish the thought. I'm also expecting at least one character to find themselves in a cliffhanger-esque situation, much like Han did. 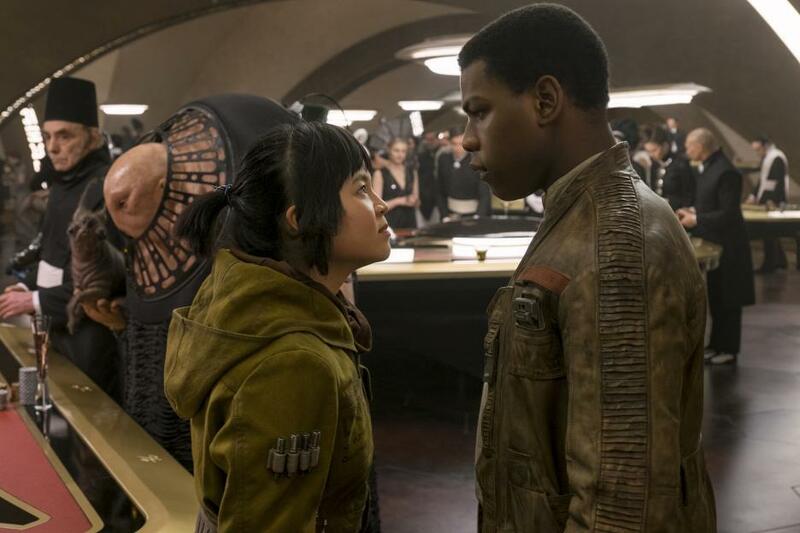 In this case, I'd expect Finn (or Poe, but Finn is the one currently being hunted) to find himself in peril as the credits roll while Rey is trying to figure out what to do with her newfound knowledge about who she really is. I'm hoping they give Leia a nice, dramatic sendoff. Because of the timing of Carrie Fisher's unfortunate passing, gracefully writing Leia out of the trilogy in this film will have been virtually impossible, unless they found an artful way to do it in post-production and reshoots. Regardless of what happens, I hope that when we last see Princess Leia played by Carrie, she's as kickass as the woman always was in real life.